Each week, Murrieta 24/7 honors top student-athletes at Murrieta Valley High School. The coach of each varsity sport is allowed to select one athlete based on the previous week's performances or on potential shown by the athlete. This week, one athlete was selected. 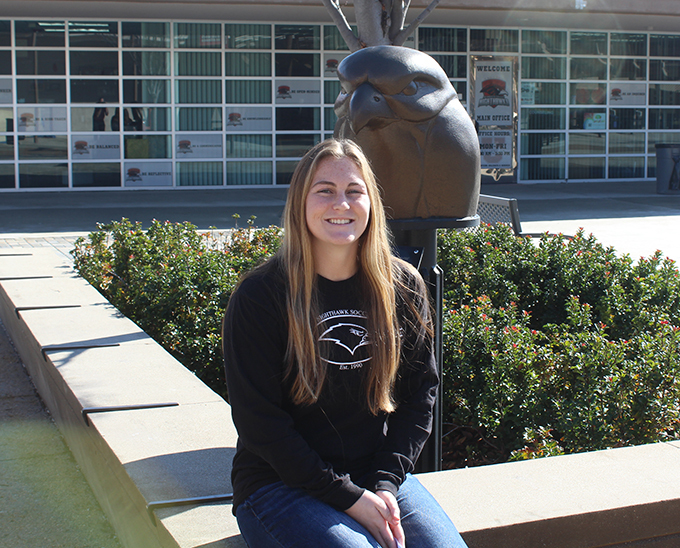 Junior goalkeeper Makena Smith had goalie save totals in double digits in two games last week for the girls soccer team -- a scoreless tie with Temecula Valley and a 1-0 win over Great Oak. The Nighthawks are 11-3-2 overall and 3-1-1 in league play. "She is a true field general in goal," coach Shane Ebert said about Smith. "She is playing on another level." Smith said this year's team is working better together than last season. "Last year, we had a bit of a rough patch," she said. "This year we have a lot more solid players who are working together, I think." Smith has been playing goalkeeper since the age of 8 -- but not by choice. "I got stuck there by my coach," she said with a laugh. "She thought I'd be good there, but I hated it. They forced me into it, but now I'm glad they did." Softball is actually Smith's No. 1 sport. She has already committed to Cal in that sport. Smith will be eligible for the school's Athlete of the Month award. Anyone wishing to purchase a print copy of this article may do so by emailing murrieta247info@gmail.com.